1. This version of ADM is in beta. It is recommended to backup any important data before updating. 2. After upgrading to ADM 3.3 Beta, it will no longer be possible to revert back to an older version of ADM.
3. After upgrading to ADM 3.3 Beta, please update all NAS apps and mobile apps to minimize compatibility issues. 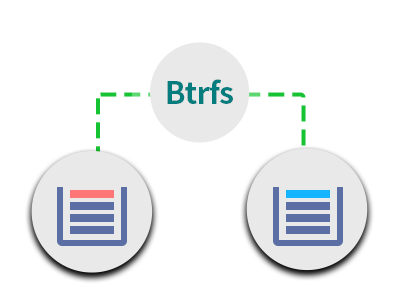 Btrfs file system makes data protection easier than ever! 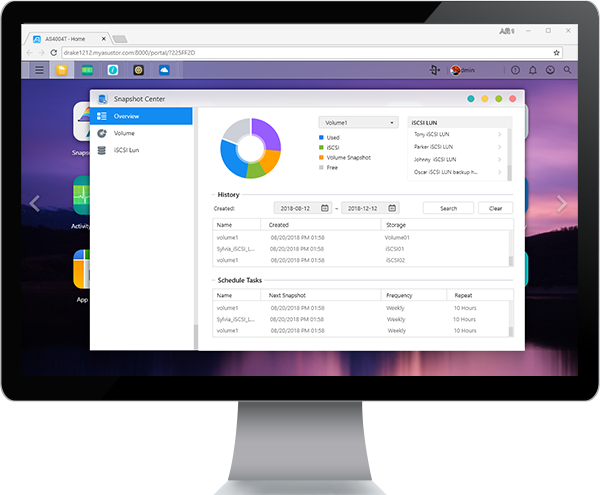 ASUSTOR has launched ADM 3.3 Beta which now supports Btrfs, which provides the capability to perform volume snapshots. Snapshots on Btrfs allow high-efficiency instant backups of data that can be created without affecting system performance. With snapshots, data integrity is protected even when files are modified or deleted, making data protection easier than ever. Snapshot Center makes managing Snapshots easy! Snapshot Center is a new app that makes it easier to manage, schedule, create and restore snapshots. Schedules can be set to create snapshots or be manually created at anytime. 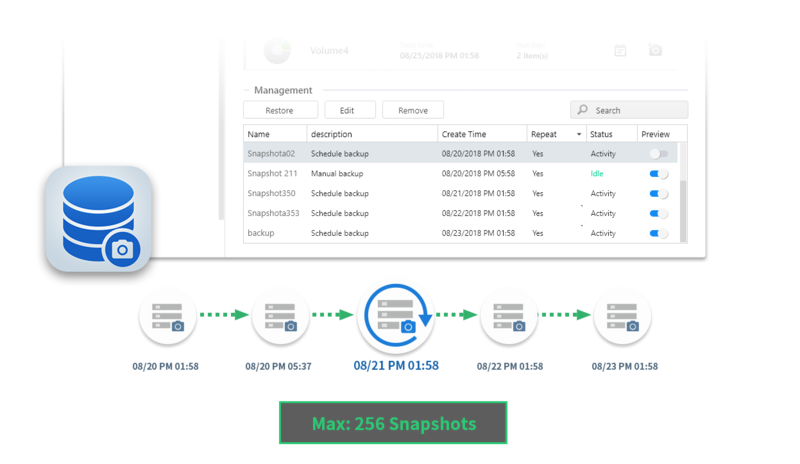 Snapshots also make it incredibly easy to restore previous versions of files and can be integrated with existing iSCSI LUNs in Snapshot Center with all volume snapshots at a glance for easy browsing and restoration. In addition to snapshot management and restoration, File Explorer in ADM can also directly mount volume snapshots to browse files from different times, making it easy to restore and organize files contained within snapshots in the event of corruption or other forms of data loss. 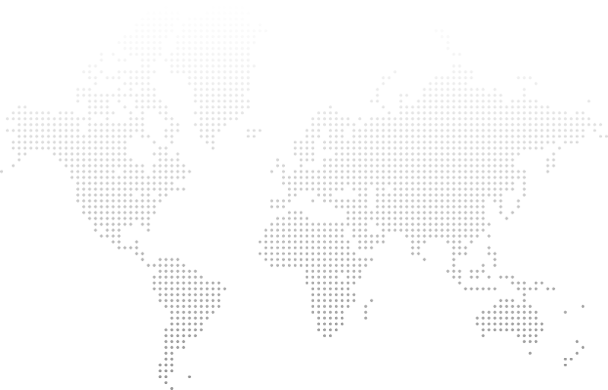 Are You Ready to Experience The ADM 3.3 Beta?